MainAll NewsInside IsraelEldad: Why Did JNF Give in to Land Thieves? Eldad: Why Did JNF Give in to Land Thieves? MK Eldad demands to know why the JNF stopped a forestation project, warns that perhaps JNF donors should be encouraged to give elsewhere. MK Aryeh Eldad (National Union) is demanding to know why the Jewish National Fund (JNF) has stopped planting trees in the Negev following protests from Bedouin land thieves. In a letter to honorary JNF co-chairman Eli Aflalo, Eldad said the JNF’s inaction means it no longer has a purpose. “I was shocked to read the article by [journalist] Kalman Liebskind on February 26. From the article I learned that, despite repeated court rulings in its favor, the JNF has decided to halt plantings in Arkib in the Negev,” Eldad wrote. “As is known, these plantings were aimed at foresting the Negev and preventing illegal takeovers of national land by Arab criminals,” he added. The JNF began planting trees south of the Bedouin city of Rahat in 1999. At that point, the Arkib area was uninhabited. After the planting began, a Bedouin family claimed ownership to the land, but their claims were rejected by courts. 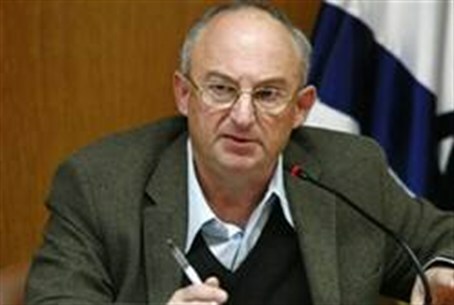 Liebskind recently revealed that the JNF had stopped planting trees near Arkib weeks earlier. The organization’s decision followed “ceaseless pressure from the extreme left, and lying propaganda and incitement worldwide,” he said. “Courts approved the plantings… regional prosecutors confirmed that the work is legal, but the JNF prefers not to fight,” Liebskind wrote.